2015. Assemblage. 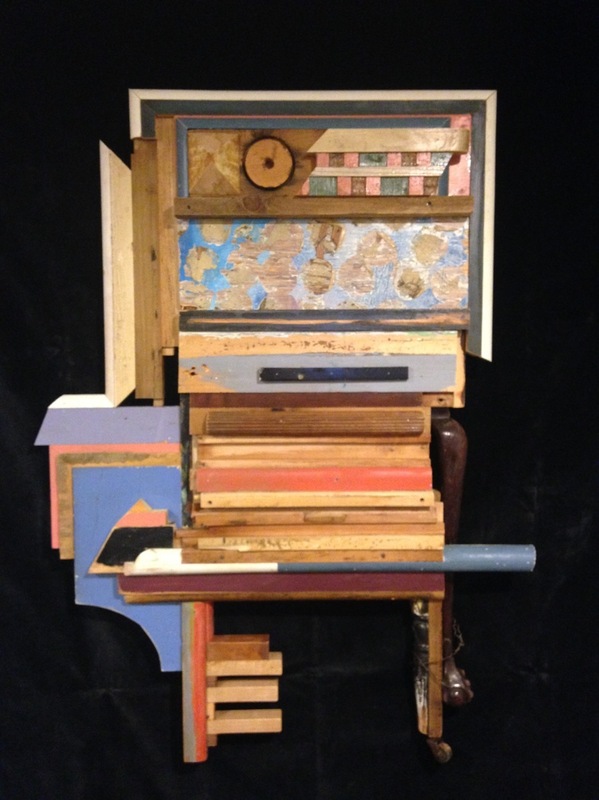 Wood scraps produced and collected by artist, furniture parts, wire and antique caster.